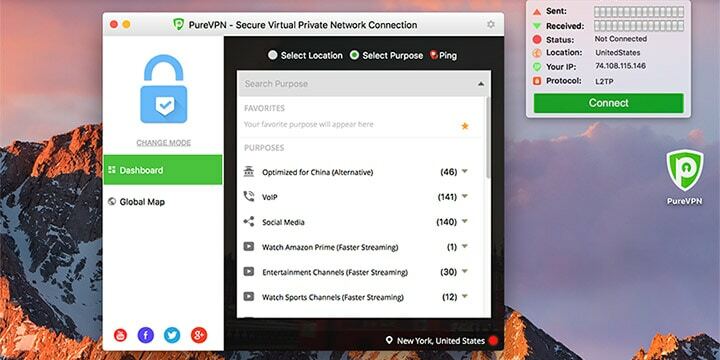 This PureVPN review takes a look at the Hong Kong-based VPN provider. 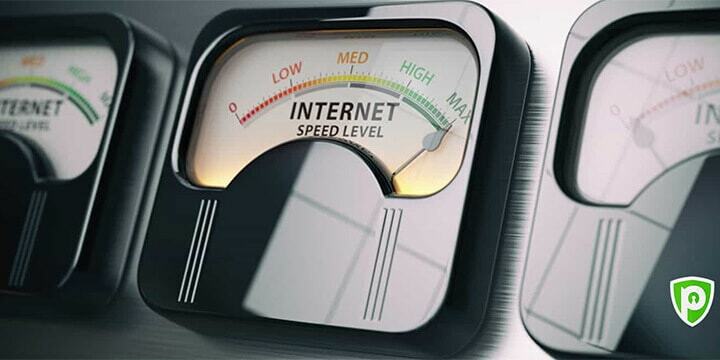 It is ranked highly in the global VPN list, but there are some severe flaws in its service. To see if they have done enough, we have looked at every aspect to see if it could be the best VPN for New Zealand or it is still wise to give it a wide berth. One of the stand-out features of PureVPN is their ‘virtual router’ feature. This you don’t see very often, and what it does do is to allow you to connect up to 10 more devices from your laptop or desktop computer. However, this feature is only available for Windows at present. Another area where users might be surprised is, PureVPN can access US Netflix. On occasions, the error might be shown, but the PureVPN server list is extensive enough to find a server which can access the streaming service. Carry on, not all is rosy with streaming services. PureVPN only connected to Netflix using Dedicated IP mode, and when other services were tried some worked and some didn’t. Amazon prime worked, but it is paid for, and BBC iPlayer failed which is free. UK Netflix also couldn’t be accessed. PureVPN offers filters that include a malware blocker, and also parental control. This being said, it was a longwinded way to get them to work. Browsers are well supported and come for Safari, Firefox, and Chrome. Protocol support comes via conventional protocols (OpenVPN, L2TP/IPSec, PPTP, SSTP, and IKEv2). They also use an AES-256 cipher with a RSA-2048 handshake and SHA-1 authentication. During the last review, the VPN did show leaks, although if users opt for OpenVPN, then no leaks are found during any test. Not all may be fixed, and it could be a case of a better protocol being used. Other features on offer are a Kill Switch, a NAT firewall (Ozone) and split tunnelling, with this you can direct sensitive data through the VPN and regular data can go through your ISP. The Ozone firewall is supposed to have an inbuilt antivirus, but this didn’t to work reliably. PureVPN has one of the largest global sever networks with over 2000 in 140 countries, some of these quite diverse. However, when you take a look at the PureVPN download speeds, it seems this vast network doesn’t help them much. As you can see, these speeds even to Australia are dismal, and attempting to stream Netflix to New Zealand might be nearly impossible without buffering or stuttering. Yearly Plan $5.41 per month. Billed as $64.95 annually. 2-Yearly Plan $3.29 per month. Billed as $79.00 every 2 years. PureVPN does have a cheap VPN option, but this might end any time soon(Halloween special). Sign up for their yearly plan, and you only pay $35.88. Although, in the land of VPN’s this doesn’t make it a killer deal which is worth jumping on. If you decide on a PureVPN sign up, there are plenty of payment options available. These can include credit cards, PayPal, Alipay, PaymentWall, BlueSnap. There are two alternative payment options, being CoinPayments and Gift cards. The problem with these two being, they are none-refundable. Although PureVPN has a sale on, users might think they will take advantage and sign up and then make use of their 31-day money back guarantee. This works smoothly with other VPN’s, but in the case of PureVPN, things work a little differently. It was the case they were not refunding if users made 100 connections, or they consumed over 3GB of bandwidth as was the case when they had their previous money-back guarantee. Cancelling also needs to be carried out via email, and even though the company says they won’t ask why they do. PureVPN also has an Android app, this is fast and slick as you will find in any Pure app review. It does have a downside to it though, it is another paid for option. There are a couple of drawbacks using this over the desktop clients. It won’t access American Netflix, and if you decided to try the free version, you find limited coverage and you are hounded by full-page ads. After setting up an account, you are emailed your username and password. This allows you to connect 5-devices at the same time. Once you have downloaded and installed the PureVPN client, you are asked to give your PureVPN login details. You will be presented with a user interface which looks very similar to CyberGhost, the layout is the same, but the colour scheme is rather bland. The fact it appears to be a clone, or a copy, the design isn’t as polished and can be hard to read if you change the size of the window. PureVPN supports a vast range of devices and is more than quite a few other VPN’s on the market. This can include Windows, Mac OS, iOS, Android, game consoles, Smart TV’s, Chromecast and Amazon Fire, etc. One of the biggest cons of using PureVPN is their security. Rather than using OpenVPN by default, the company opts for IKE, as an aside there is the option for 128 bit and 256 bit. Stepping on from this there is another major concern, and this has nothing to do with their protocols or leak protection as you will see. Does PureVPN keep log files? Back in December 2017, there was a case of a woman and her family being terrorized by a cyberstalker. For a company that praises itself for zero logs, it contradicted itself by aiding the authorities to help catch the stalker. Further to this, PureVPN then wrote a defensive statement when they were questioned, how they could assist the police when they have no user logs? This is another area where PureVPN has another con listed against them. Responses to queries where what appeared to be scripted, and their knowledge base isn’t anywhere near extensive. Customer support staff made a few referrals to the FAQ’s page when contacted. In the defence of PureVPN, they do operate a 24/7 email and live chat customer support, how quick they respond all depends on how busy they appear to be. PureVPN appears to be a victim of its own hype. They have plenty of features, but not all work as they should. For a company that has such an extensive network of servers, their speeds should be among the fastest from any VPN provider. Unfortunately, some of the companies VPN servers are virtual servers and could be located anywhere. According to the company website, Auckland is home to 12 servers. If they were this close connection speeds would be faster. Maybe these are virtual? Have things changed with PureVPN since it was last reviewed, yes they have? Have they done enough to sway New Zealand users to use their service, either as a new take up or jump from another? It is seriously doubtful. There are still too many problems, and the concerns of how they tackle user data are just too worrying. The service might have a considerable discount for Halloween, but you could sign up and then find out you have a real nightmare. There are better alternatives, and at prices which are very similar.